Originally signed to Capitol Records in 1971, Hoodoo Rhythm Devil's debut LP, Rack Jobbers Rule went by largely unnoticed, but simultaneously helped in launching the band's live career, which was certainly more successful than their recorded legacy. Capturing a band like HRD live, is no mean feat, but their appearance at the Old Waldorf is one that is relatively unmatched in this area. 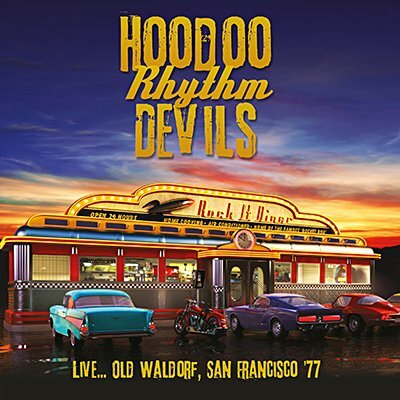 Hailed at the time by the Berkeley press as 'A local natural resource fuelled by bar-be-que sauce', Echoes proudly presents the entire KSAN FM broadcast of the Hoodoo Rhythm Devils live from the Old Waldorf, San Francisco 12th May 1977. Originally aired on 17th May 1977. Professional remastering with background liners and rare archival photos.